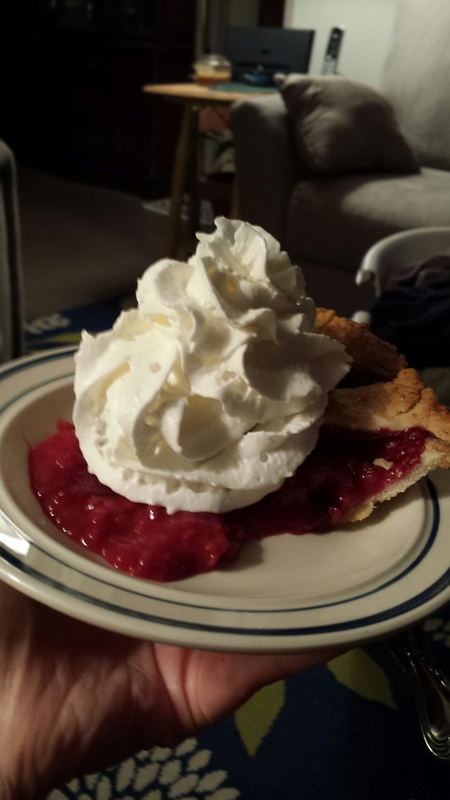 I have really been slacking on my “Operation Pie Challenge” I left off at week #7 so this would be week #8. I am not going to do a recipe this week. Instead, I am going to show you a technique with pie crust that my Granny taught me years ago that I think you will find interesting. This technique is best used on a berry pie with its dark purple or red color. Start by having your bottom crust and filling ready. The filling pictured below was a mixed berry from our raspberries frozen from last season. 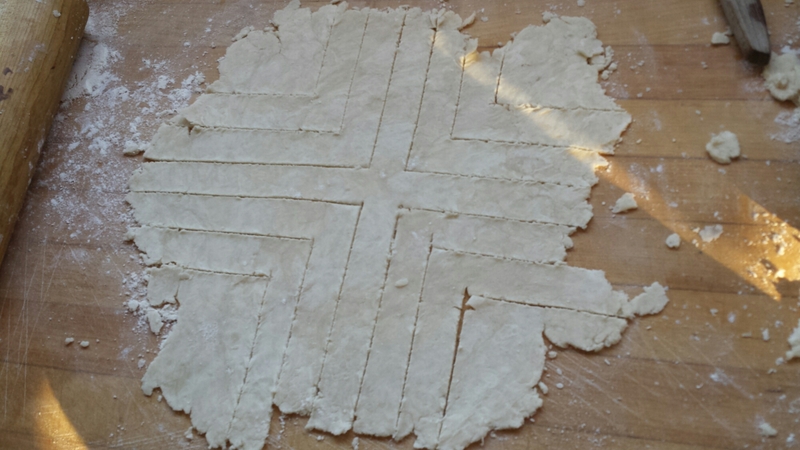 Next, roll out the top crust and instead of slicing completely from one side to the other as in a traditional lattice, create a cross shape instead. As you can see next you cut each corner of the cross into an “L” shape. 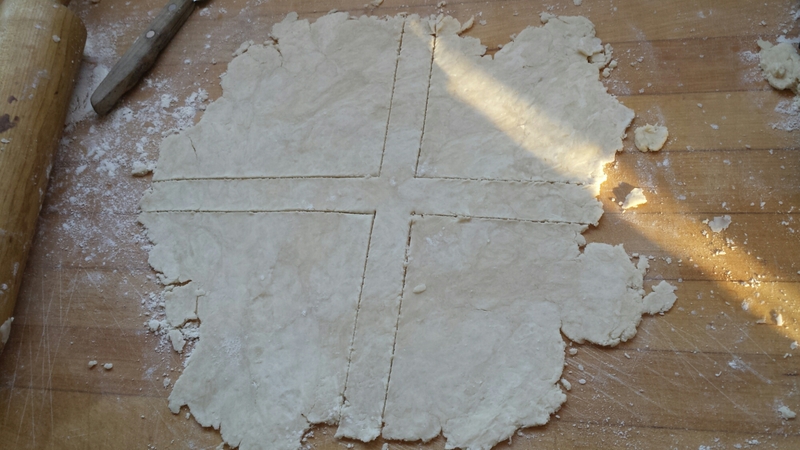 Carefully lift the cross shape (it can be a little tricky not to break it, so go slowly) and place in the center of the filling. Next lift and position the “L” shaped pieces of crust just like they were on your floured counter but leave a little space so the color of the filling peaks through. Now add the corner pieces and crimp the pieces into place. Bake as you would any pie and voila! Not only is it impressive to look at but it tastes darn good too! 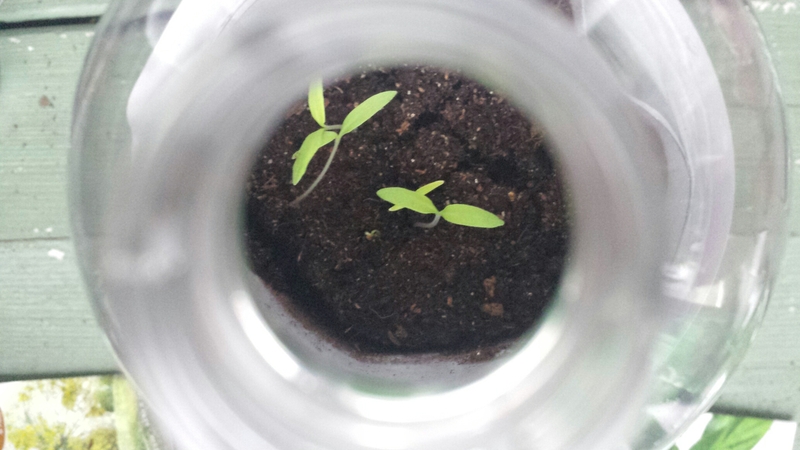 The kids are up and out of the soil and stretching towards the sky. Here are a few pics! So far the plum tomatoes, regular tomatoes, basil, cilantro and dill are all up. 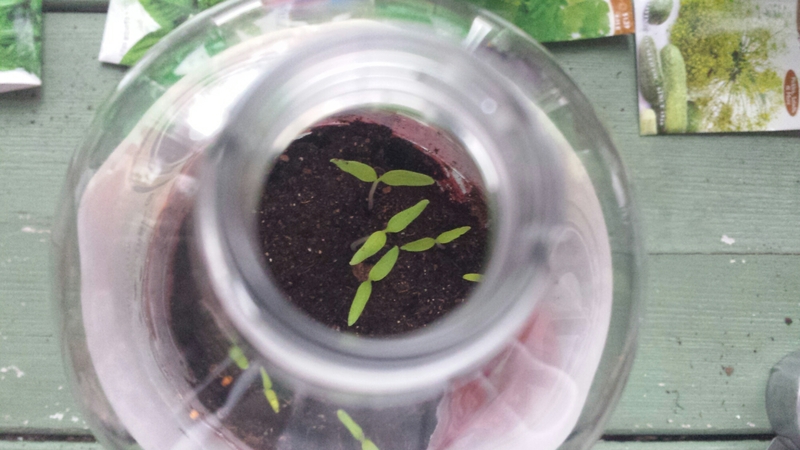 The peppers and celery will hopefully be up some time next week. Are you starting any plants indoors yet? If so, what are you growing? This entry was posted in 52 Week Operation Pie, Baking, Gardening, Uncategorized and tagged 52 week pie challenge, pie crusts, Pop Bottle Greenhouse by marymargaretripley. Bookmark the permalink. We are starting our garden this Friday. My mother in law believes that a garden started on good Friday has better luck 😉 good luck! 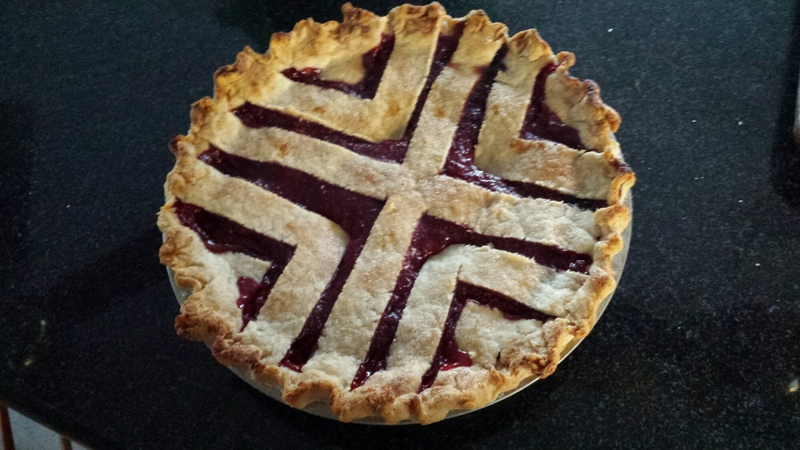 I love homemade pie and just recently learned how to make the perfect pie crust! It can be tricky! 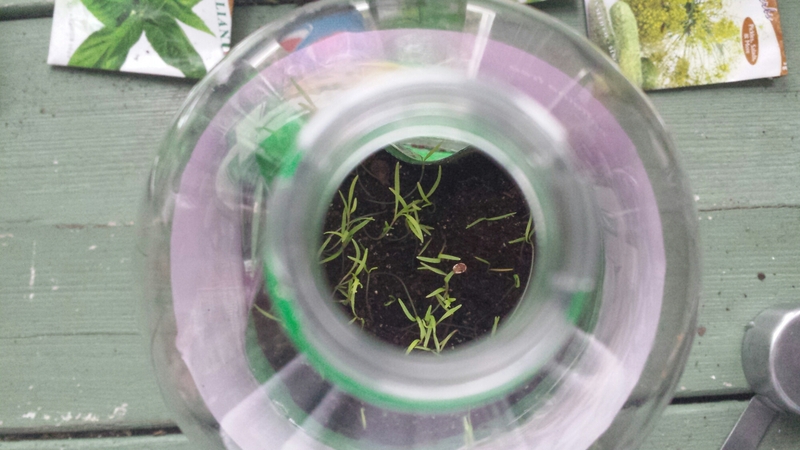 I can’t wait to see how your garden grows! Hi Aimee! 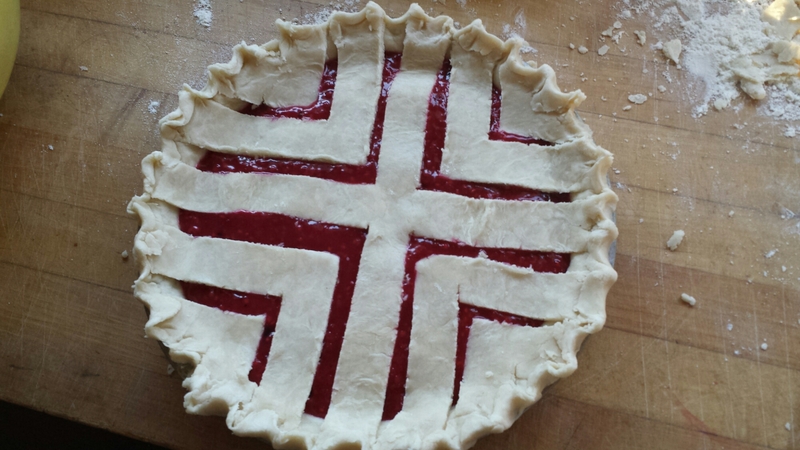 Yes pie crusts can definitely be a pain to make and easy to mess up but they are so worth it! That is such a beautiful pie!